Properties in Ngakuta Bay average 4.5 out of 5 stars. 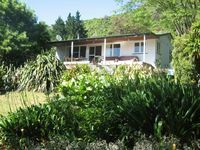 Property 7: Ngakuta Bay, Marlborough Sounds. Property 10: Quiet location. 5 minutes walk to town. 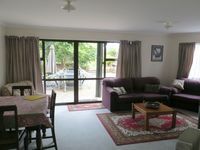 Property 27: The PICK of PICTON - luxury modern apartment. Property 48: Stunning views set within a private bush setting with own beach across the road.